Aerospool WT9 Dynamic PH-4F2 was one of the visitors of Wings en Wheels 2012 at Hoogeveen airfield. The 2010-built Aerospool WT9 Dynamic c/n DY344/2010 is fitted with the new wing with winglets and was registered PH-4F2 in the Netherlands with C.M Zegwaard, Assen, on 4 March 2010. 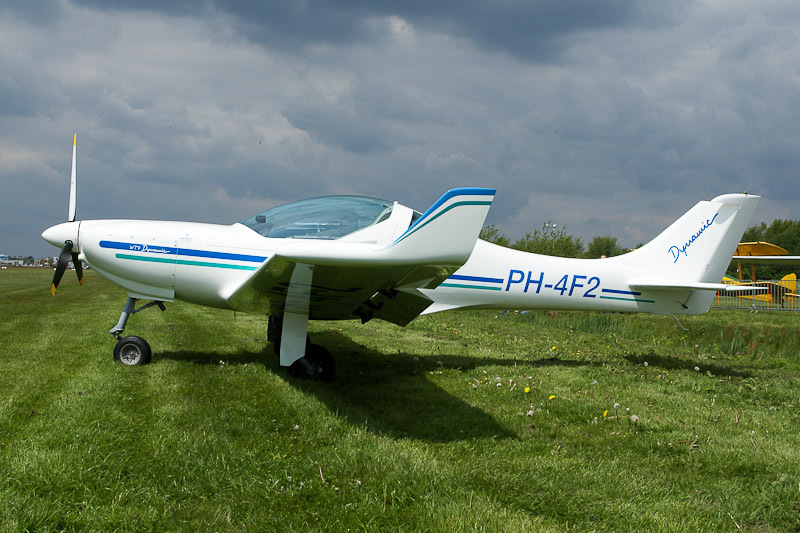 Registered ownership of the PH-4F2 changed to G.S. Mulder, Assen, on 10 September 2010. The aircraft is powered by a Rotax 912ULS engine.